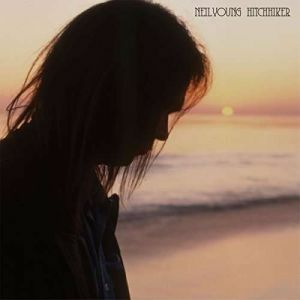 Neil Young will open his archive andrelease Hitchhiker, an unreleasednew studio album. It will be availableon vinyl and CD. The 10-track acousticsolo album was recorded in Malibu,CA at Indigo Studio in 1976. Theoriginal session was produced byYoung’s long-time studio collaboratorDavid Briggs.Recorded between Zuma andAmerican Stars and Bars as asolo album in a single session, theresultant performances are trulybreathtaking and passionate. Thesimplicity of a single voice andguitar captured here is as pure andpowerful as it gets, with only Young,Briggs and actor Dean Stockwell inthe room at the time of recording. Afew of the songs would not appearon vinyl until years later. Some havenever been heard, included in theoriginal sessions for Neil Youngand Crazy Horse’s Dume, anotherunreleased record of original sessionsthat yielded the classic album, Zuma.When the Hitchhiker album wasrecorded, none of the included songshad ever been released and many ofthe performances of the songs werethe first ever. This is truly an album oforiginal performances.